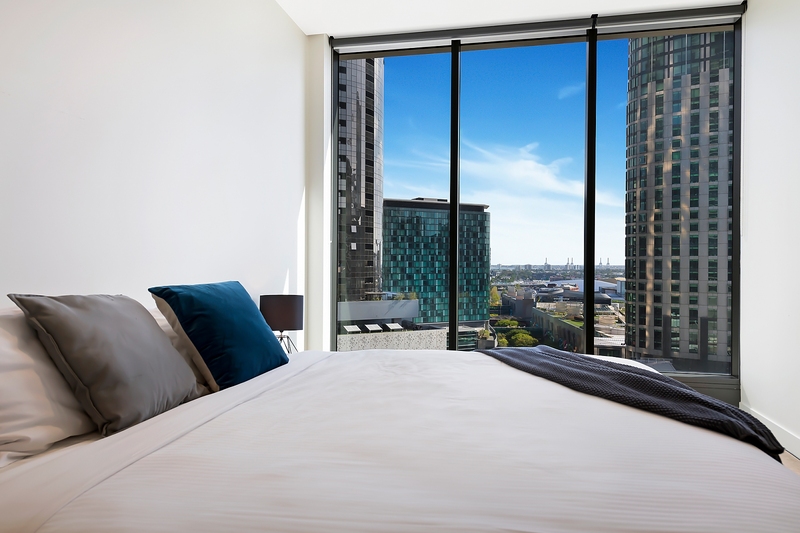 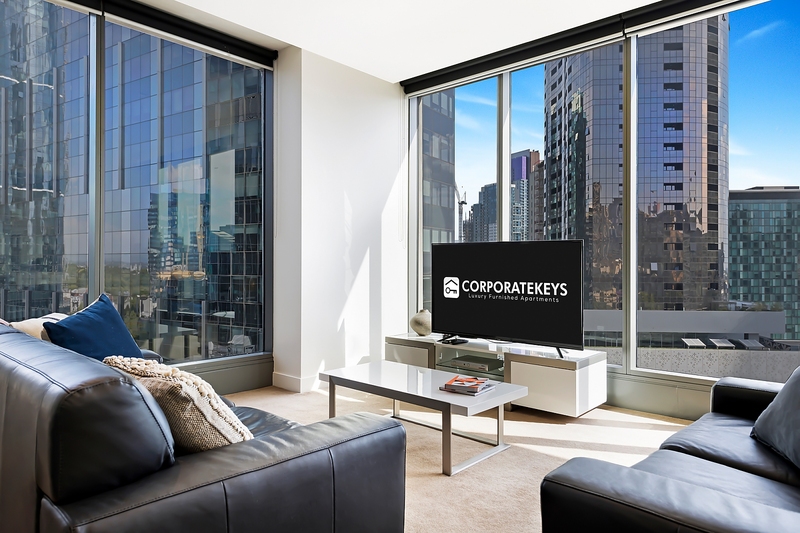 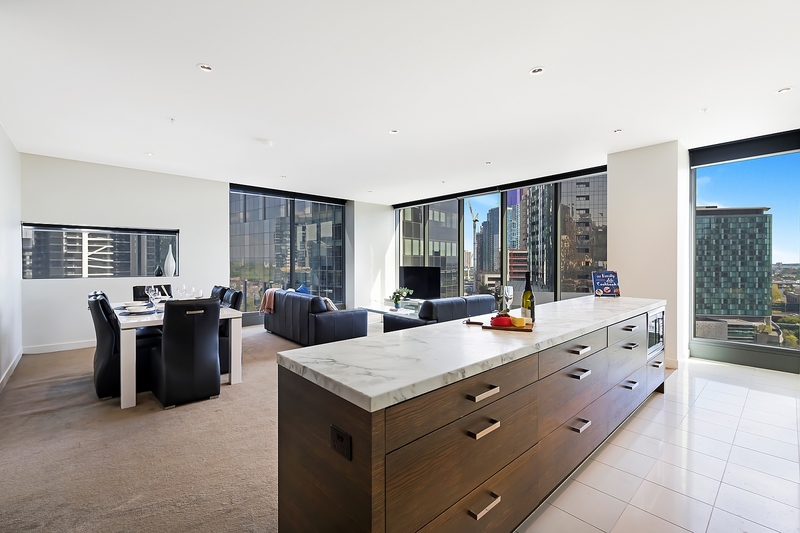 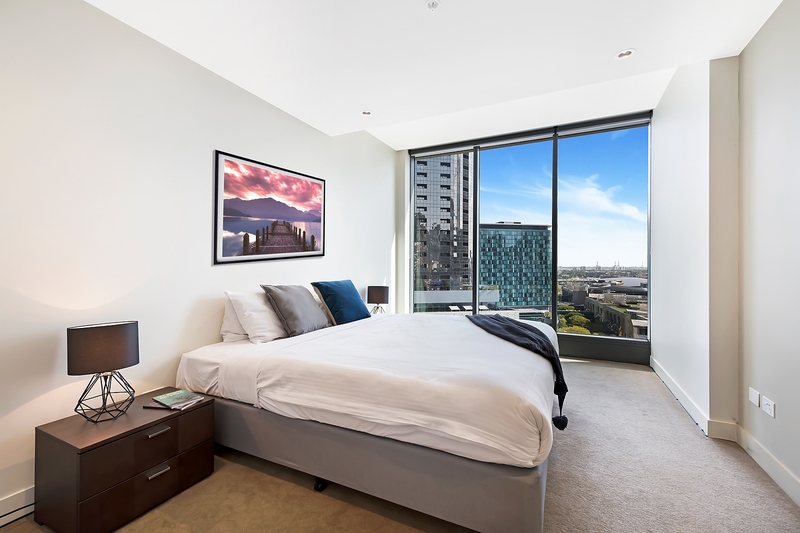 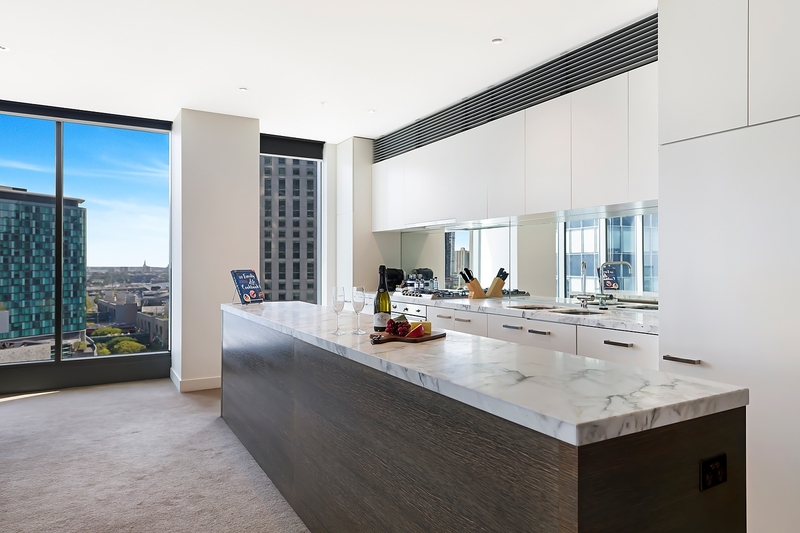 You’ll love the city views and central Southbank location on show in this quality two-bedroom security apartment that offers the best in executive living in a five-star city complex. 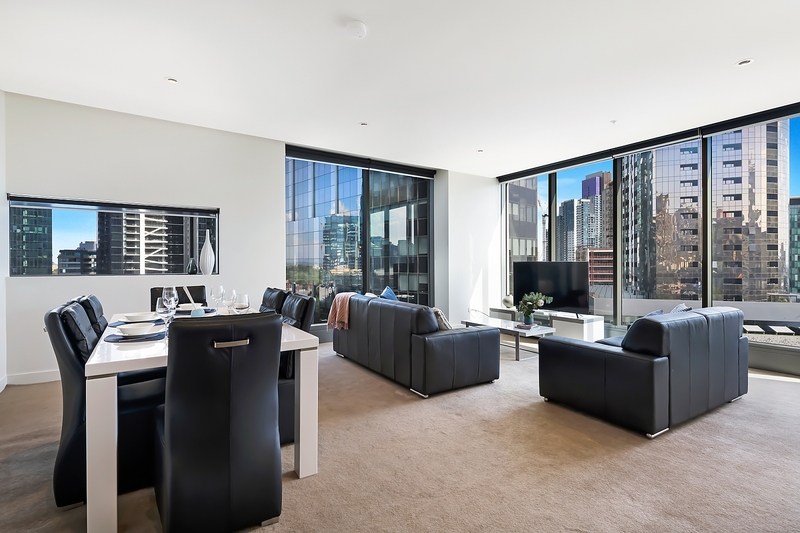 The apartment boasts a prime corner position and showcases 270-degree city views from the open-plan living/dining room for bright, modern living. 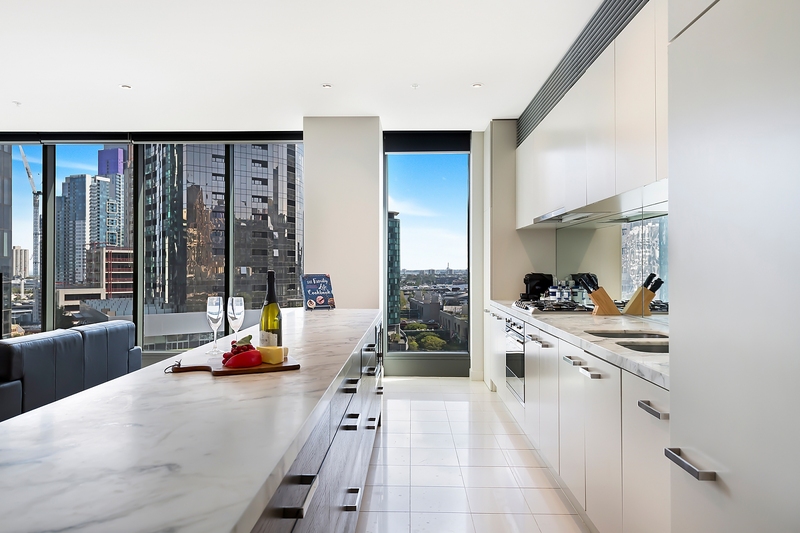 The full-sized kitchen is ideal for entertaining clients or visiting friends and family with a long island breakfast bar with stylish marble-look stone bench top, gas cooking, stainless steel appliances including a dishwasher, plentiful cupboard space and a stylish mirrored splashback. 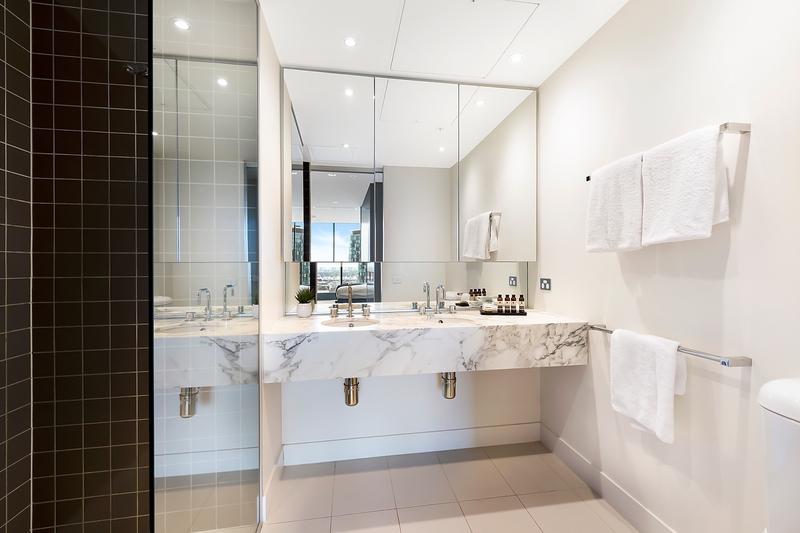 The views continue to impress from the generous master bedroom that features a walk-through robe into a luxurious ensuite with large shower and double vanity. 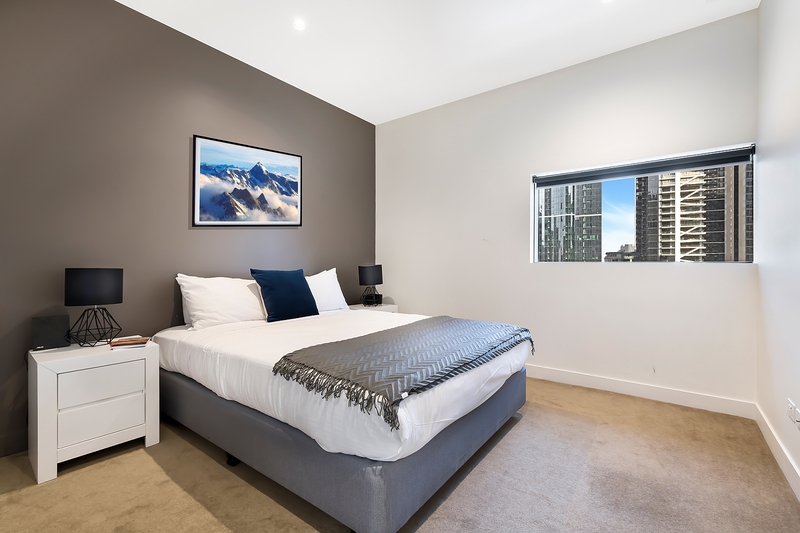 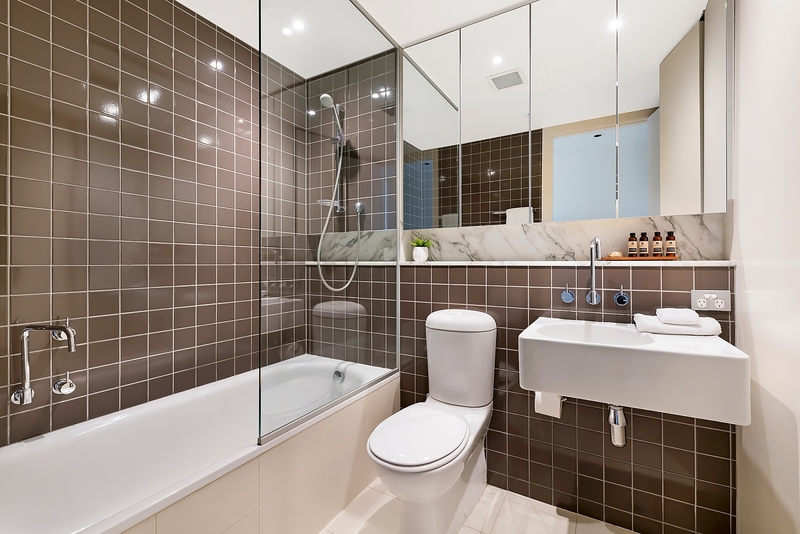 The second bedroom features a built-in robe and is conveniently located opposite the main bathroom with floor-to-ceiling tiles, shower over bath with frameless glass screen and wall-hung vanity. 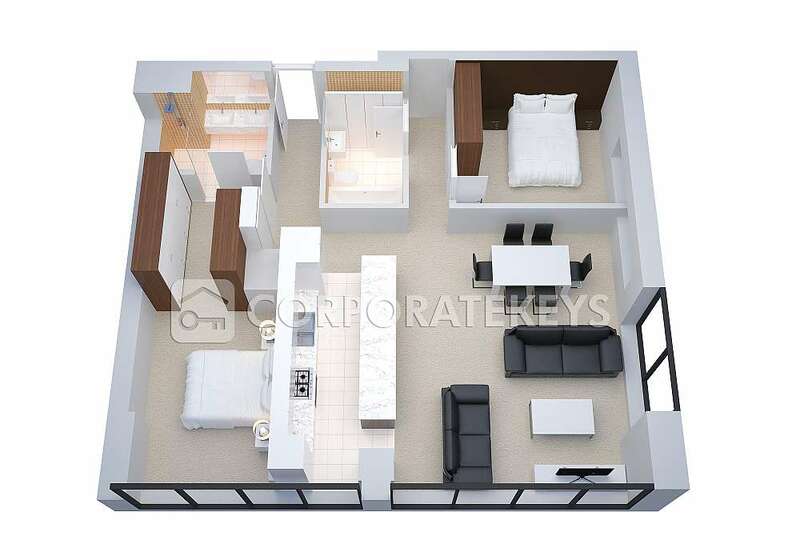 An internal laundry with washer and dryer, free parking and free Wi-Fi completes the package. 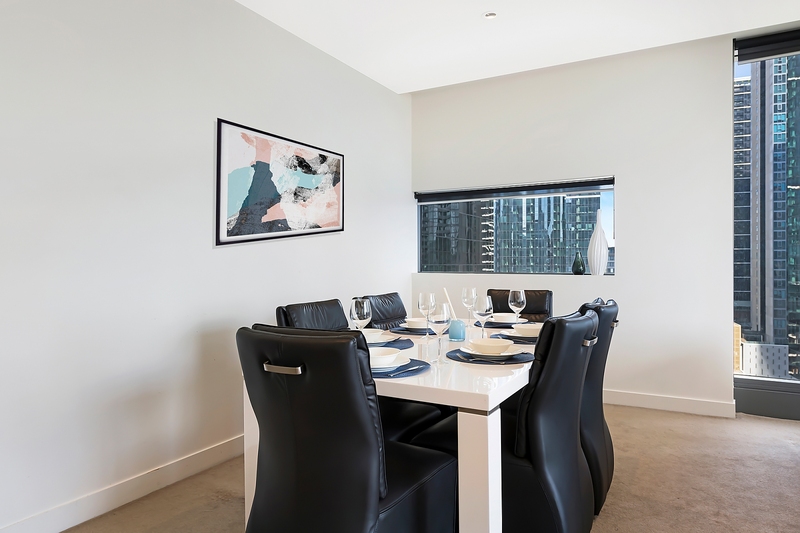 You’ll also feel right at home in this luxury complex that features beautiful gardens with barbeque facilities, a lap pool, sauna and fully equipped gym.